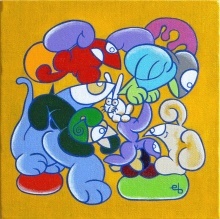 SOLID’ART is the exhibition & sale of contemporary art of the ‘Secours Populaire’. This 4th edition, featuring 130 artists (including Jef Aérosol, Eric Bourdon, Jihem, MIMI the ClowN, Francis Moreeuw, Atelier A3, Virginie Fiers, Patrick Palczy, Mickey, Jacques Pentel, Isabelle Diguet, Denis Bisch, Fabrice Burton, Hélène Beelkens, Yvon Delaporte, Philippe Hollevout…), will take place from 25 to 27 May 2018 at the Palais Rameau in Lille, France. 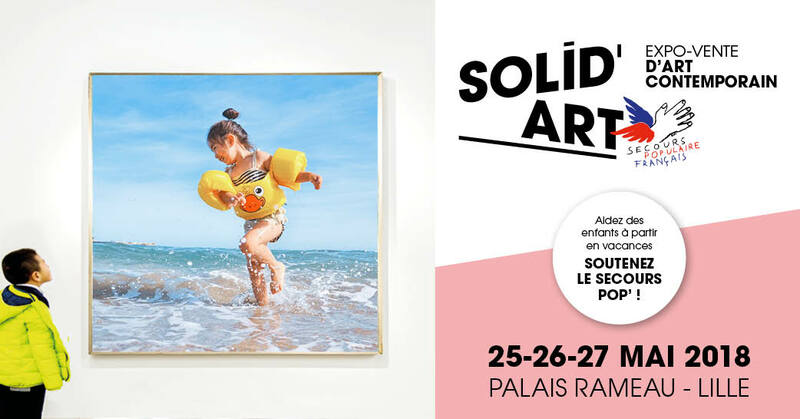 The 2017 edition of Solid’Art made it possible to offer 4,000 days of holidays to children and families accompanied by the ‘Secours Populaire du Nord’. 5 art galleries will also participate in the show : Galerie ACB, Acid Gallery, Art to Be Gallery, Galerie Cédric Bacqueville, Lill’Art Gallery, and the Anagraphis publishing house.